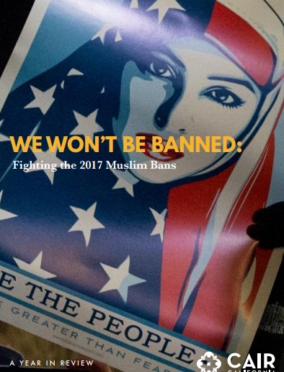 This report examines the impact of executive orders and a presidential proclamation targeting Muslim immigrants. Implementation of the first executive order (“EO-1”) occurred on January 27, 2017, in an unexpected and haphazard fashion. EO-1 banned foreign nationals of seven Muslim-majority countries for90 days, non-Syrian refugees for a period of 120 days, and Syrian refugees indefinitely. Tens of thousands of people, including lawful permanent residents (“LPRs”) and dual citizens, were impacted by EO-1 through heightened questioning, delays in travel, cancellation of flights, and revocation of visas.